It's dead easy to pop over to my Amazon Author page (https://www.amazon.com/author/tonynoland) or to my Smashwords author page. Either would be a great place to start. Click on any of the images to enlarge. A hero unlike any other, the Grammarian uses the strength of supple syntax and the power of perfect punctuation to fight for justice on the mean streets of Lexicon City. 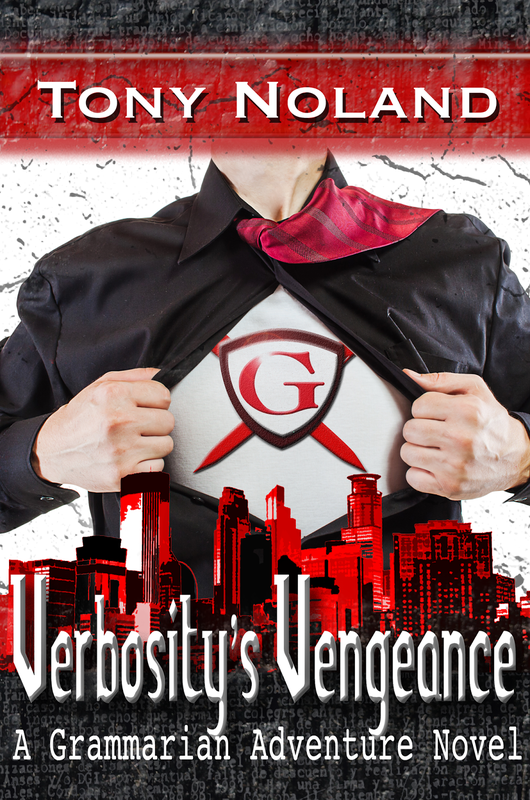 An exciting and fun combination of superhero science fiction and humorous wordplay, "Verbosity's Vengeance" is a novel that will thrill and delight everyone who loves superpowers as much as semicolons. 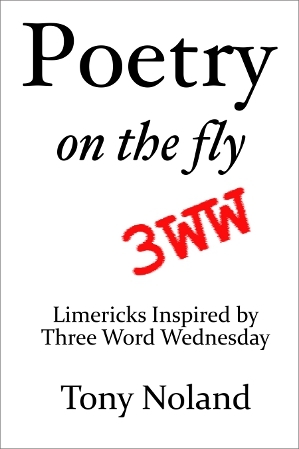 This collection of limericks, some funny and some serious, were written over the course of many months, each to meet a weekly challenge: three words, chosen (almost) at random by someone else, served as the prompt. Those three had to be the basis for a poem that would scan, flow and tell a story... all in five lines. 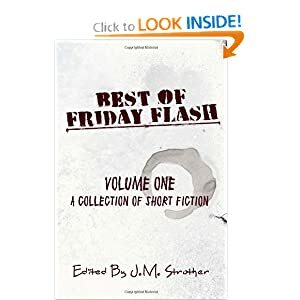 In this diverse collection, I've gathered some of my best flash fiction and short stories from 2009-2011. These twenty eight stories range in style from fantasy and horror to magical realism and literary fiction. Whether you're looking for potent true-to-life tales or you want your fiction full of zombies, flying carpets, deals with the devil and superheroes in trouble, this collection will amuse, delight and surprise. This edited and curated collection brings together some of the best fiction from the online community of writers who participate in the weekly #FridayFlash hashtag. The pieces are in every genre and style, but they all share the ability to take your breath away. This project was about finding inspiration through visual image. Each week throughout 2011, photos were posted online and writers invited to respond. 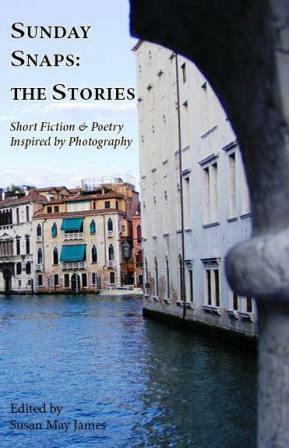 The result: an eclectic 52 piece mix of short stories, flash fiction, poetry and photography. Proceeds from this anthology will be donated to Canadian Red Cross Homecare Services. A warm thank you goes out to the following writers who generously contributed their work and made this collection possible. This collection has my story, "Sunset at the Sea of Fertility"
In the international terminal of a large European airport, Monday morning is about to get a whole lot worse. At 7.35am Pangaean Airlines, one of Europe’s major carriers, is put into receivership grounding all flights, stranding thousands of passengers and impounding tonnes of luggage. But all is not as appears on the surface and the sliding-doors moment of one woman deciding to retrieve her suitcase will ricochet through the lives around her. This collection has my story, "The Dogs of War"
What if there was a methodology to being an author that had been passed writer to writer since the first cuneiform wedge was pressed into clay tablets by the very first writers? There is... 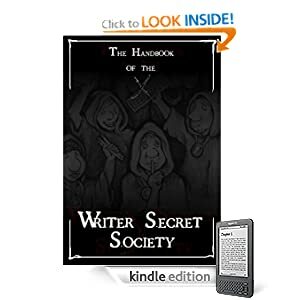 The Peevish Penman Press presents the handbook for the most notable secret society for writers. Discover trade secrets, rituals, and the previously guarded information now available to the public for the first time. Be a writer and not just a person who writes. There are other beings out there. Demons, fae, aliens, robots and more. Creatures that have been watching us for a long time. "Inhuman: Absolute XPress Flash Fiction Challenge #4" contains 20 stories from 18 established and break out authors. This collection has my story, "Nearer Comes the Moon"
Friday Flash is a weekly global writing event. Writers worldwide post flash fiction, stories of 1,000 words or less, and announce them via the #fridayflash hashtag on Twitter or Facebook. Friday Flash is a true community – a virtual online writer's colony. This collection gathers sixty-seven of the very best – from humor to horror, slice-of-life to science fiction – under one cover. This has my story, "4:45". 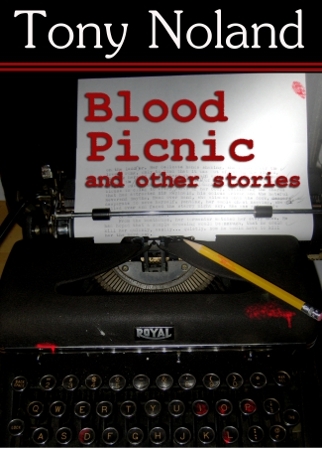 A collection of flash fiction in aid of the survivors of the 2011 Queensland Floods. It has something for everyone, from slice of life to science fiction, fantasy to romance, paranormal to literary fiction. I served as an associate editor for this book. A fiction anthology based on the popular Twelve Days of Christmas song. Two writers assigned to each day to each write a story. The outcome? Literary fiction, sci-fi, fantasy, and horror all mixed into one! "History's Keeper", a Choose Your Own Adventure web experience. Author and associate editor. "Up North" in the 12 Days - 2010 anthology, December 2010 (reprinted in "Blood Picnic and other stories"). "White Paper" in the October, 2010 issue of "Evolve". Standalone microflash stories written for Twitter and Twitter-based litmags. @Outshine: Electric shoes; Older, But Not Yet Old; Gasoline? The Running Bug A Twitter sci-fi serial.